I don’t know about you, but for me there are certain songs that I hear on the radio that always put me in a Christmas frame of mind. The funny thing is, they are all songs that are – for lack of a better word – “older”. But I guess that’s the thing – they weren’t really all that “old” when I was a kid; they were the popular songs of the day. 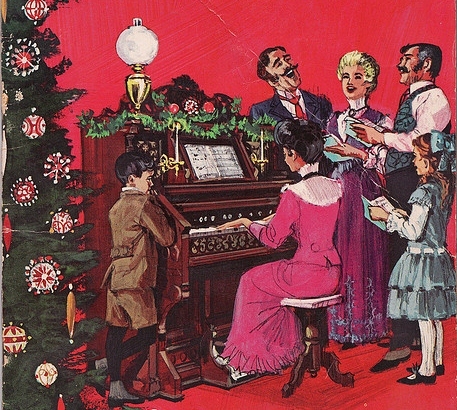 Who knows what songs the kids of today will associate with Christmas when they get older? That wraps it up for today’s musical selections – hope you have a great day! This entry was posted in Advent/Christmas, Holidays, Music and tagged "Home for the Holidays", "It's Beginning to Look a Lot Like Christmas", "Let it Snow", "The Christmas Song", "The Most Wonderful Time of the Year", "Winter Wonderland", Andy Williams, Dean Martin, Johnny Mathis, Nat King Cole, Perry Como. Bookmark the permalink.